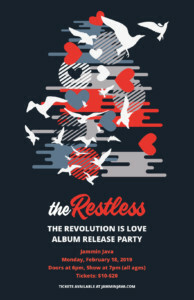 The Restless is excited to release their sophomore album, The Revolution is Love, at Jammin Java in Vienna, Virginia on February 18th! The album includes original songs that continue to draw from diverse influences as well as an innovative take on the hit song Oceans by Hillsong United. The album fills the sonic space with mixes of acoustic, electric, and synth sounds that complement incisive lyrics and harmony-rich vocals. 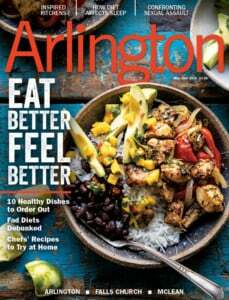 To create the full sounds these songs required, The Restless teamed with Marco Delmar of Recording Arts, who has been recognized as one of the leading record producers in the DC area. The Restless invites you to come celebrate the release of The Revolution is Love, to sing and dance along, and to join the discussion that these songs are sure to spark! Come join the party!